Settled into the left seat at our final cruise altitude of 26,000 feet, we were showing a true airspeed of 304 knots and burning about 700 pounds of jet-A per hour. As the lush rolling landscape of central Pennsylvania slid by far below, a nagging question had entered my mind. 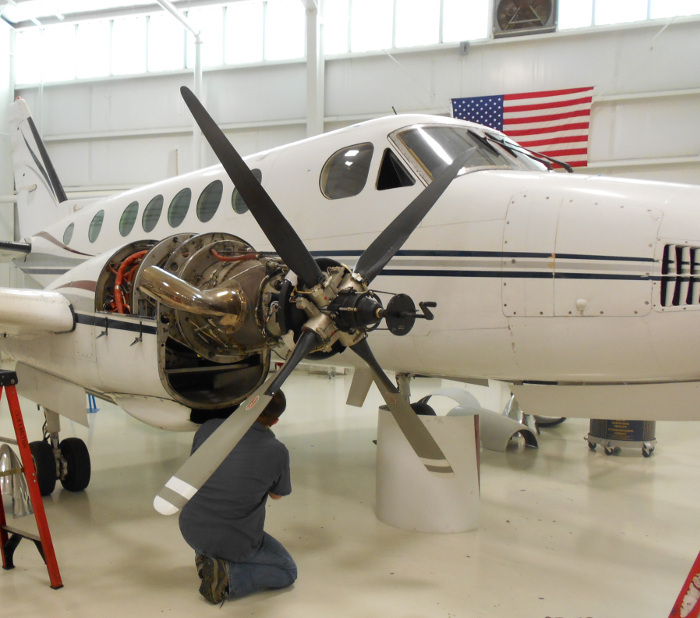 What is it about the Beechcraft King Air family of twin turboprops, I asked myself, that keeps these airplanes rolling out of the factory in Wichita, Kansas, more than 53 years after the first one emerged? I always thought I knew the answer to that question, but there in the confines of the King Air 250’s cockpit a quiet crisis of confidence was beginning to bubble up in my mind. Who, precisely, should be buying this airplane anyway? I wondered. The question of how a radial engine can be compared to a turbine engine is a question that has been asked many times over. Individuals in the Agricultural world are still asking themselves this question every year on a purely economic basis. However, the question can also be asked from a historic basis as well. In looking at the Pratt & Whitney family of Radial Engines and the PT6A family of engines, it is clear that the two are closely related. A legendary engine deserves a story as extraordinary as it is, and such is the case with the early history of Pratt & Whitney’s PT6. This story begins decades before the turbulent history of the PT6 when radial engines were still the dominant engine for airplane use. The gas turbine engine of the PT6 revolutionized the industry, but not before the static, air-cooled radial engines had a few decades in the limelight. Of all the radial engines, Pratt & Whitney’s R-985 was always a favorite since its inception in 1932. Simply sit back and watch a smile cross an aviation enthusiast’s face upon observing the sputter of the round radial engine as it starts up, and it is clear that these engines were something special. However, the transition into the era of the PT6 was not an easy one. In fact, it was something of a miracle. While the advancements of gas turbine engines were known to the aviation industry in the early 1950s, the expenses of the manufacturing, maintenance and repairing processes were problematic. However, that did not deter Pratt & Whitney Canada (PWC) while they forged ahead with their plans of designing a powerful gas turbine engine. They hired a team of specialists and proceeded with attempts to develop a 450 hp engine that had growth potential up to 500 hp. Their goal was to keep operating costs at a similar level as the previous radial engines, and their first foray into gas turbine engines was designed to fit small and lightweight airplane models. 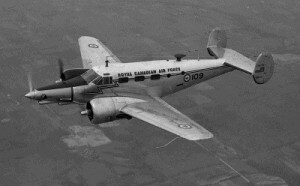 However, they still needed to decide on a gas turbine technology, but eventually settled on a free turbine configuration that was more expensive, but had crucial advantages such as less starting power requirements, simplified controls for fuel and the ability for fixed-wing aircrafts to purchase off the shelf propellers rather than custom ones. 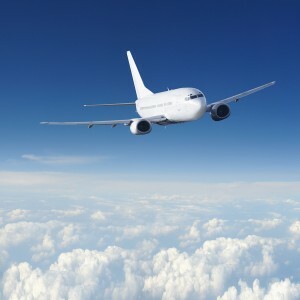 Once the team decided to move in this direction, they still were not ready to get to work since they had to travel to Pratt & Whitney’s headquarters to convince the chief engineer that their plan was the right one. Upon securing his approval, the jubilant team started working on the ambitious project. Unfortunately, their work was a blight on company balance sheets. The new design attempts led to a sort of development nightmare, but the chief engineer that approved the project still had faith in the vision. As a result, he sent a team of six experts spearheaded by a highly skilled engineer named Bruce Torell. The goal was to get the project back on track, and history reveals that this historic engine would have likely failed without his aid. Progress was quickly made thanks to Torell’s engine expertise, but then the team faced obstacles from PWC itself. Despite aggressive attempts to terminate the project, work continued and was finally ready for flight testing in 1961. A search began for a suitable twin engine airplane to test with the PT6, and the team chose Beechcraft C-45 “Expeditor”. This Beechcraft Model 18 was equipped with two R-985s, meaning that the traditional radial engines played a huge role in the development and rise of the PT6. While further tweaks to the engine were made, the future of airplane engines was clear. Gas turbine technology was here to stay, it was just a matter of whether the PT6 was the engine that would dominate the airplane industry. It did, thanks to Beechcraft, the same company that used P&W’s radial R-985 engines of decades past. With that agreement, the PT6 finally saw mainstream success that produced its dominant run as one of the great engines of history and in fact was the first engine ever put on a King Air. Growing global markets and ever-increasing customer bases have led to thousands of start ups, emerging growth companies, and the success of established companies. However, each company within this broad, three-tier classification can benefit from the use of a supply chain provider. As a company approaches the point of becoming an established company, the use of a supply chain provider becomes more prominent, and most established companies have an existing partnership with one of the major shipping providers. However, even some established companies continue to operate and handle all supply chain processes in-house, which represents an extreme risk for the company. If the in-house processes fail, the company tumbles and fails as well. Rather than waiting for your company to titter on the edge of complete failure, take a look at how supply chain services will improve your telecommunications abilities, networking needs, customer service departments, and storage of data within the cloud. After all these years, the legacy King Air still has it! 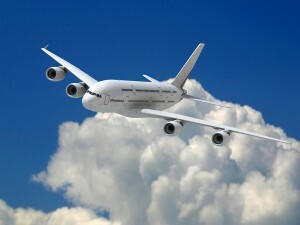 What's your favorite corporate/business #aviation #aircraft? Turbine Vs. Radial, Why the Comparison? I’ve been privileged to know both the PT6A and the 9-cylinder Pratt engines. Both engines operate on a different technique for deriving horsepower from the combustion process, but at heart they are still both internal combustion engines that share the same engineering DNA. One of the most complex parts of the R-1340/R-985 engine, which has remained relatively unchanged since December 24, 1925 when the very first R-1340 roared to life, is the supercharger or blower section. The blower section, which also serves as the anchor-point when installing the engine, is attached to the rear power case. The circular case receives the fuel/air mixture from the impeller assembly through diffuser channels then delivers the fuel/air mixture to the cylinders via the intake pipes. The blower is driven directly by the crankshaft through a spring loaded gear coupling located at the aft section of the crankshaft assembly. This ingenious design helps protect the blower gearing from sudden acceleration or deceleration. The spring loaded gear drives the floating gear. The impeller assembly, being indirectly driven by the crankshaft, turns ten or even twelve times crankshaft speed. 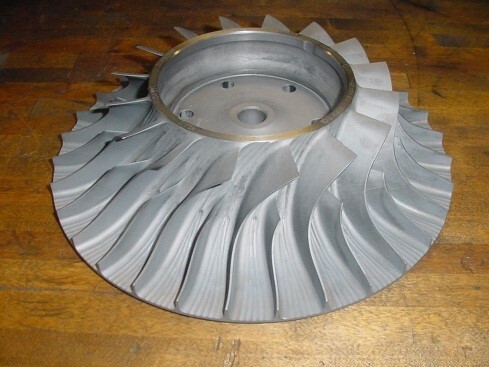 In like manner the PT6A Impeller is located in the gas generator housing which is the anchor point when installing the engine. The centrifugal impeller delivers air through diffuser tubes to the combustion chamber. The hot gases flow through a series of turbines which produce horsepower to the propeller shaft. 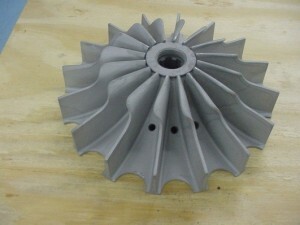 The impeller is only one area of similar design and function. The reduction gearing in both the PT6A & R-1340G engines are remarkably similar as well as many other features. It is not difficult to see a common engineering theory. Many pilots and mechanics love the history and engineering that goes along with engines and aircraft. Certainly looking and comparing two of the legacy engines from Pratt & Whitney is enjoyable information for many in the aviation community. I have always found it entertaining that as the PT6A engine took its first breath of life, there were R-985 engines on each side! The photo (left) is of the first flight of the PT6A, being test flown on a Beech 18 (May 1961). In closing, I am a mechanic that holds to the history of aviation. Learning about the past can certainly give insight to the present while possibly holding a glimpse into the future. Drawing a comparison between these two engines certainly does that. Green energy is one of the most promising technologies of the future. However, it’s still got a while to go before it is the defining technology that allows people to achieve all of their goals in the transportation world.